DuPont™ Plantex® Cocomat combines the technical advantages of Plantex® weed control fabric with the aesthetics of natural coconut fibres. 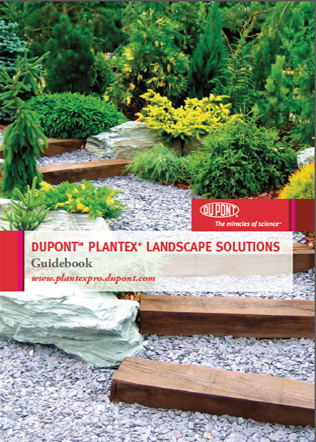 Plantex® Cocomat prevents the growth of weeds, keeps moisture in the soil and allows the soil to breathe. 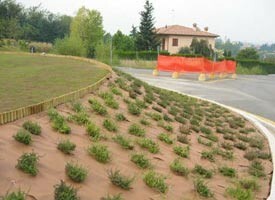 It offers the ideal solution for steep slopes. Unlike mulch the natural coconut fibres cannot be washed away by heavy rain as they are firmly bound to the Plantex® weed fabric. 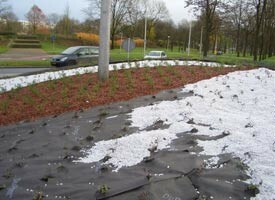 Plantex® Cocomat can be used in orchards and ornamental gardens as well as in vegetable gardens. Fruits and vegetables growing close to the ground, such as strawberries, courgettes, tomatoes, pumpkins, do not come into contact with either the ground or the often used mulching films. Plantex® Cocomat lasts for several years. Shore areas of water basins, storage ponds, sewage basins, lakes, etc.